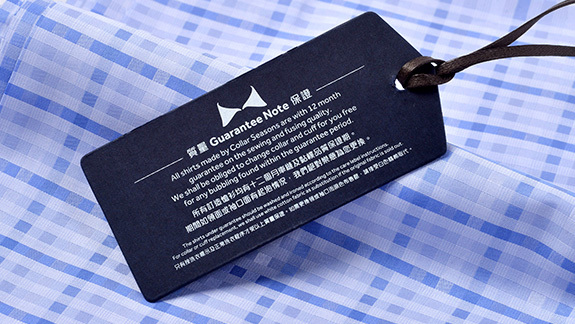 Collar Seasons opened its first shirts and suits made-to-measure shop in 1996 here in Hong Kong. We began with the mandate of achieving the premier quality in custom tailored needs for both men and ladies. 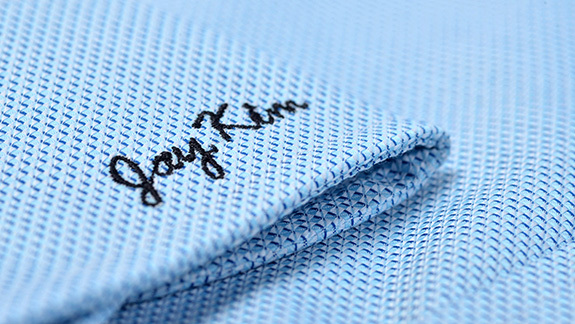 The quality of our garments is secured in our own in-house production studio here in Hong Kong. With over 30,000 new and repeat customers served, we can honestly say we have lived up to our direction with the utmost attention to detail and craftsmanship. 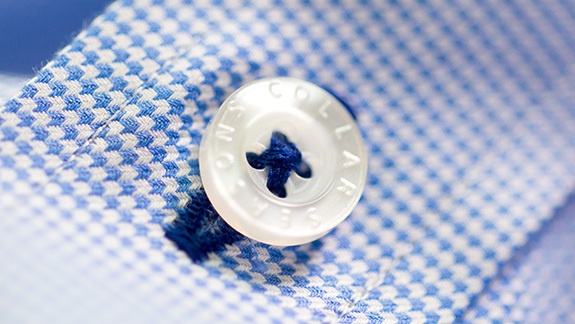 We build a trusting and lasting relationship with every order we take at Collar Seasons. More than 60% of our new customers are referrals from those repeat customers. We are honored that our clients trust us with their own as well as their friends’ and networks’ tailoring needs. 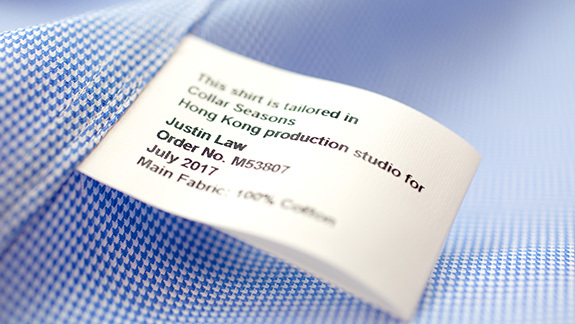 The Collar Seasons tailoring production studio uses a blend of modern facilities and experienced tailors to achieve efficiency without sacrificing individual quality and customization. We are probably the most modernized tailoring shirt production studio based in Hong Kong with 100% local production staff. While factory registration No. 41584 also means we fully comply with Hong Kong and international standards in terms of labour and equipment safety, labour law requirements, and well operates under Hong Kong Labour Department and Hong Kong Customs supervision. 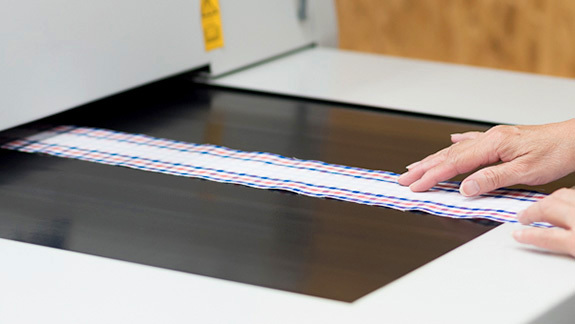 From individualized computer pattern making, imported shirt interlining fusing and stitching facilities, o digital monogram embroidery, every aspect of creating and crafting our shirts is made-to-order inside our fully owned exclusive production studio. Collars and cuffs of your shirts are fused here with the latest model brand new fusing machine from Germany. We are confident to offer customer assurance of 12 month collars and cuffs bubbling free with sincere operations and controls. In our studio we blend the merits of traditional and technology knowhow to make a tailoring garment that defined by up-to-date market needs with customer satisfaction at first ranked priority. 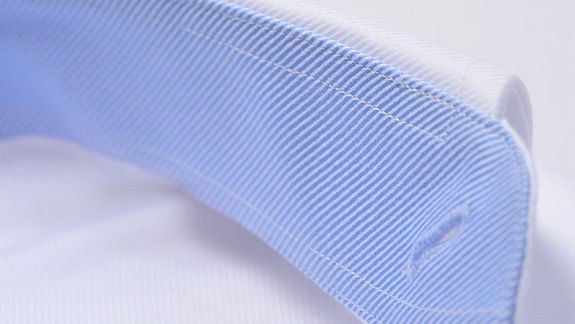 Collar Seasons is one of the least who has more than 1000 self-stock fabrics for you to choose about. This insures lower prices by eliminating the middle fabric dealers whom with no commitment to quality. 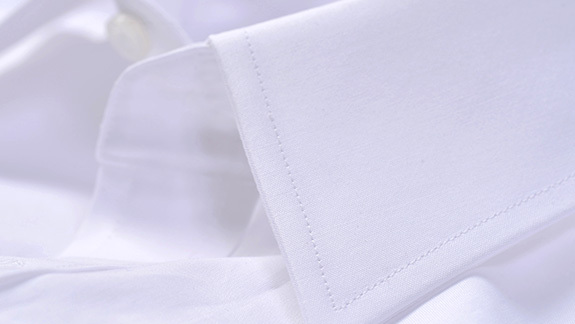 Sophisticatedly developed top fusing mechanics and materials are applied on collar, cuff, and center front to ensure the shirts made are absolutely durable to repeated washes. 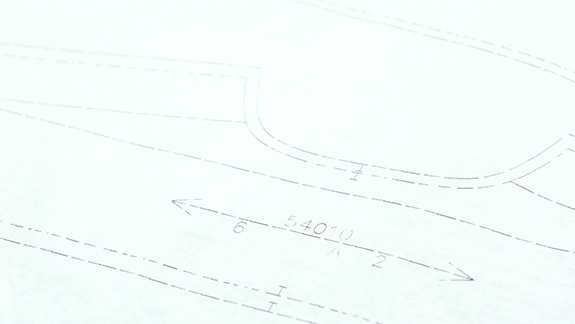 Delicate 18 stitches per inch as refined sewing construction standard. 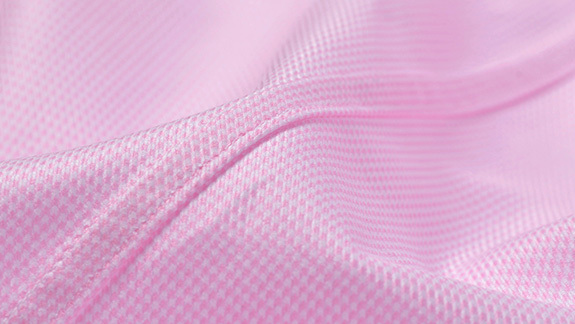 3/16” French binding seams give graceful look with resilient tearing strength. Ultra 158 stitches per size 18 shirt button hole. Crossover reinforced button stitching for loosening resistance. Unique layered neckband technique to ensure the unbuttoned collar will not collapse. Digitalized pattern formation to deliver perfect matching of sewing parts and minimize the chance of puckering. 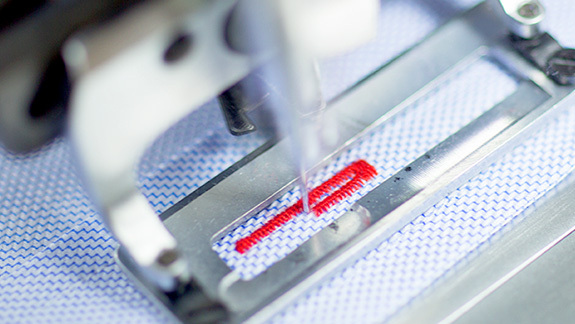 Personalized care and production label at side seam. Self-developed monogram designs which you can find nowhere else. German embroidery threads are applied according to ISO105-B02 standard. 12 month guarantee on sewing and fusing quality.